Every year in the U.S. 150,000 infants, children, teenagers and young adults die. In addition, nearly 27,000 families will face a stillbirth and 900,000 an early pregnancy loss. The death of a child, regardless of the age of the child or the cause and circumstances of the death, is a shattering experience for a family. The Compassionate Friends, Inc. (TCF) is a national mutual assistance, self-help organization that offers support and understanding to bereaved families through the work of local chapters such as ours here in Topeka. There is no religious affiliation and no individual membership dues or fees are charged. All bereaved family members are welcome. The Topeka TCF Chapter was established in January 1979. Our two-fold mission is to promote the positive resolution of a family’s grief following the death of a child, and to foster better understanding of bereaved families and their grief experiences among their families, friends, co-workers and the community at large. The death/grief experience in our country has become very sanitized and time-specific. Bereaved individuals are often expected to take three days of “funeral leave” and then return to their jobs and function as they had before the death. We who have “been there” know that grief is not an event, but a journey, which is as individual as each person experiencing it. It takes the ongoing caring and support of family, friends and community to help a bereaved person work through their grief process and come to a point where they can once again function effectively at their jobs and within their own family and community. The death of a child had profound effects on all members within a family, and many of these effects ripple out to impact the extended family, classmates, and friends of the person who had died. Our TCF Chapter attempts to help parents, surviving siblings, grandparents and other family members deal with the new “normal” which is now their state of existence following the death of a child. We make every effort to contact any family within a 60-mile radius of Topeka who has experienced the death of a child, regardless of age or cause of death. Approximately a month after the death, our Chapter sends the family a first contact packet that provides information on when our meetings are held, and a copy of our most recent newsletter. We conduct monthly support group meetings that provide a caring environment in which bereaved families can talk freely about their emotions as well as the experiences they are going through. There is nothing quite as empowering as being with someone who really does understand what you are going through because they too have walked this path. At our meetings we sometimes have a speaker from the professional community (social worker, grief counselor, etc.) to help those attending with some of the many tough issues of grief. We also offer families a “safe harbor” where they can express their fears, concerns, anger, guilt, etc. in a confidential, nonjudgmental atmosphere. We publish a bi-monthly newsletter containing helpful articles on grief issues, writings by bereaved parents and siblings, information on workshops and upcoming conferences on grief, as well as a regular section that includes the birth and death anniversary dates of children for that two-month period. It is very important for bereaved parents to know that their child is remembered. Our newsletter currently reaches about 300 bereaved families and over 100 professionals. Some of these families are far along in their grief journey, other are fresh in the intense pain and helplessness of the grief experience. The newsletter also offers “Loving Listeners” – individuals who have lost a child to many different causes and are willing to offer telephone support to other bereaved parents who simply need to be able to “talk to someone” about their loss. Our Chapter maintains a lending library of books, magazines, brochures, hand-outs, audio and video tapes dealing with the many aspects of grief and covering specific death circumstances ranging from miscarriage and stillbirth to SIDS, and from suicide and sudden death to long-term illness. These materials are available to check out at no cost to any bereaved family in our area. Our Chapter also sponsors three special memorial programs each year for bereaved families. We have a Candle Lighting Memorial program in December, a Memorial Picnic with a Dove Release in September, and a Walk to Remember in April of each year. The Topeka Chapter is one of over 700 local TCF Chapters throughout the U.S. There are currently 11 chapters in Kansas. Each TCF Chapter is entirely self-supporting and run entirely by volunteers who are themselves either bereaved parents or siblings. We depend solely upon voluntary contributions from our members and the generosity of businesses and individuals in the community. There is never a charge to a family to participate in the meetings, utilize the library, receive the newsletter, or take advantage of any of the other services provided. The composition of the support group changes from month to month as new families come in and some families may discontinue regular meeting attendance. Average meeting attendance numbers 25-35 with peak attendance of 70-100+ for special events. While not all families contacted by the Topeka TCF Chapter attend support group meetings, most all of them find help and support through the newsletter. A family does not have to attend the support group meetings in order to receive the newsletter. While it is difficult to quantify the total impact of our Chapter on the Topeka community, we know from experience the positive effects that TCF support can mean to bereaved families. We know that no other group in Topeka directs its energies specifically to the needs of families experiencing the death of a child. Perhaps the best evidence of sustainable change resulting from our efforts is that families are eventually able to move on in their lives, continue to be productive at their jobs, maintain strong and empowering relationships within their own families, and hopefully at some point can offer help and support to another bereaved family. 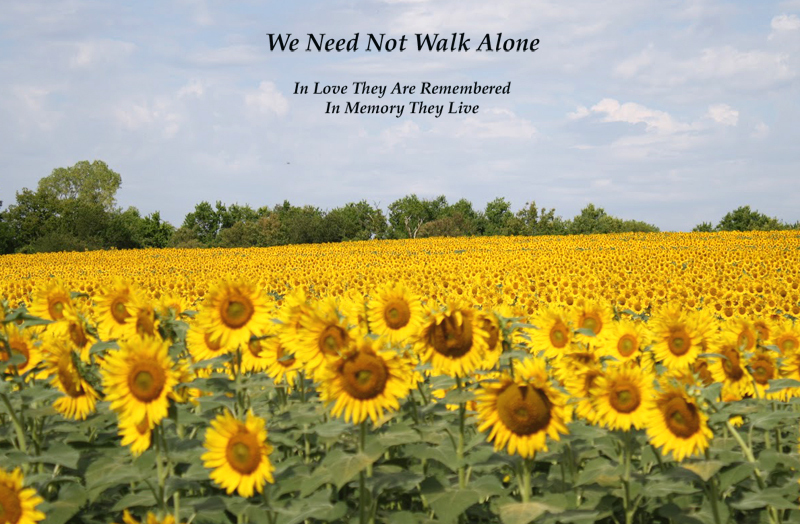 Our motto is “We Need Not Walk Alone” and we don’t want any bereaved family in Topeka to have to walk the grief path without support being available to them. The secret of TCF’s success is simple: As seasoned grievers reach out to the newly bereaved, energy that has been directed inward begins to flow outward and both are helped to heal. The vision of The Compassionate Friends is that everyone who needs us will find us and everyone who finds us will be helped. The Topeka TCF Chapter meets the fourth Monday of each month (unless otherwise noted in the newsletter and/or on this website) at Most Pure Heart of Mary Church, 3601 W. 17th St., Topeka, KS 7:00–8:30 p.m. 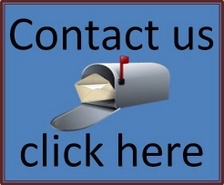 If you have questions or need further information, please use the Contact Us button on this page. The Compassionate Friends, Inc. is a non-profit 501(c)(3) organization and donations to TCF are tax-deductible. Love Gift donations may be sent to: Topeka TCF Chapter c/o Midland Care Connection, 200 SW Frazier Circle, Topeka, KS 66606-2800. Checks should be made out to: Topeka TCF Chapter. may be found under the "Meetings"